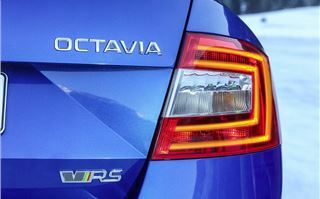 A quarter of all Skoda Octavia buyers choose a vRS model. It’s not surprisingly really. The blend of affordable pricing, family-friendly practicality, strong performance and low running costs is clearly very appealing. 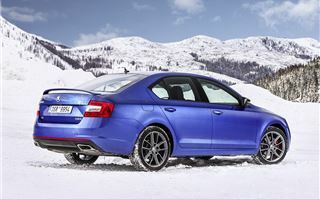 But with its price of £27,590 is the DSG-only 4x4 diesel still good value next to the rest of the vRS range? 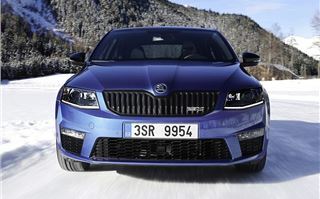 The 2.0-litre TDI engine produces 184PS and a more than adequate 380Nm of torque from 1750-3250Nm, the same as the front-wheel drive version. 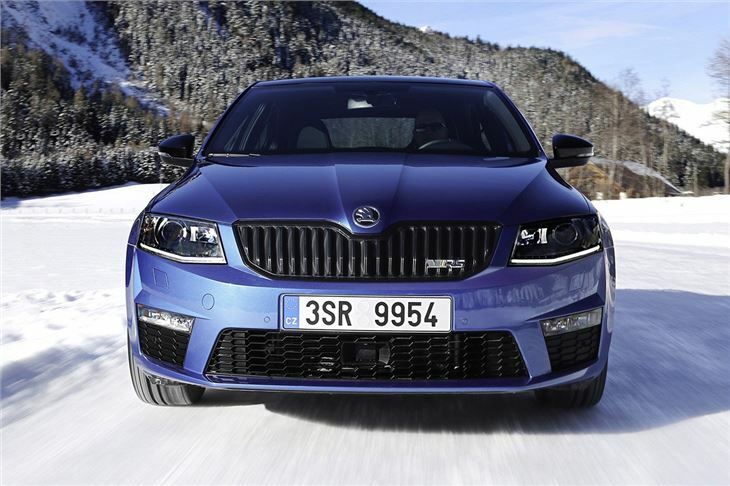 But, thanks to the additional traction of the all-wheel drive system, it gets from 0-62mph in 7.6 seconds, 0.3 seconds faster. It’s marginally less economical, but it’s still officially capable of 57.7mpg. On the road it’s certainly potent, but there isn’t much drama to the way it accelerates. It quietly and swiftly picks up pace, making extremely light work of overtaking regardless of the transmission mode – drivers can select between standard D, sportier S or change gear manually using steering wheel mounted paddles. Manual mode works best on a country road, making it much easier to keep the engine in the peak torque sweet spot. 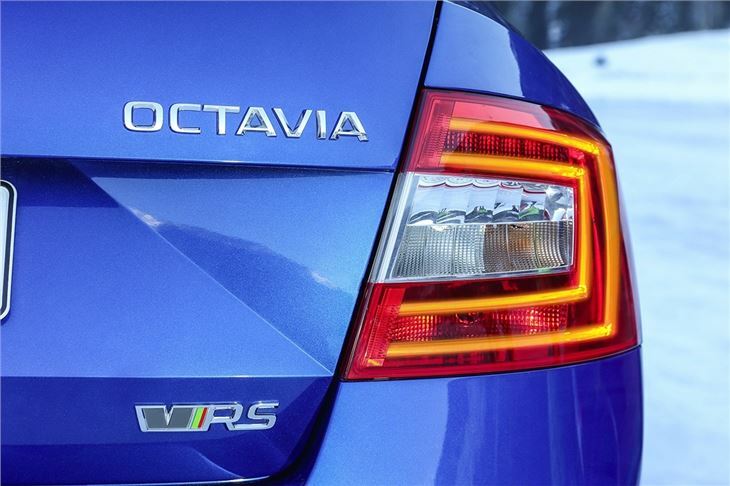 Through bends the Octavia feels unflustered, with impressive grip and nicely weighted steering, along with strong, confidence-inspiring brakes. It’s impressive even in wet, greasy conditions thanks to the all-wheel drive system. Despite coping well with twisting roads the Octavia is a very comfortable car, ironing out all but the most severe potholes and bumps without any drama. It’s also easy to get on with in town because of to the automatic transmission. Motorway driving is relaxing too thanks to the quiet cabin and supportive seats. It's a great all-rounder. There are selectable drive modes which enable the driver to choose between Eco, Normal, Sport and Individual settings, changing steering weight, throttle response and the amount of engine noise piped into the cabin. The Eco setting includes a coast mode, which disengages drive when the driver lifts off the throttle to save fuel. It works fairly well – when the driver uses the throttle or brake again the engine smoothly re-engages, whether to provide engine braking or drive. 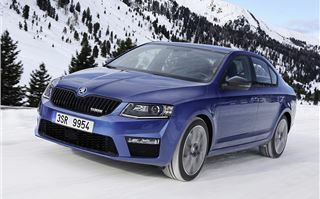 It’s all very seamless – which is a good way of describing the Octavia vRS overall. It’s unfussy but extremely competent in every way that matters – and that extends to its practicality. 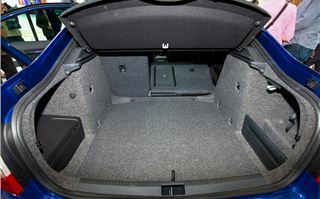 The boot of the hatchack is large at 590 litres, plus it’s low and long, making it easy to load and carry push chairs. If extra space is needed the seats fold down and free up 1580 litres of space – which is handy for bulky things like furniture, since the sloping, saloon like tailgate can make some bulky objects hard to load. Space in the back row is generous, with easily enough leg and headroom for adults to sit comfortably, while wide-opening doors make it easy to get youngsters in and out. 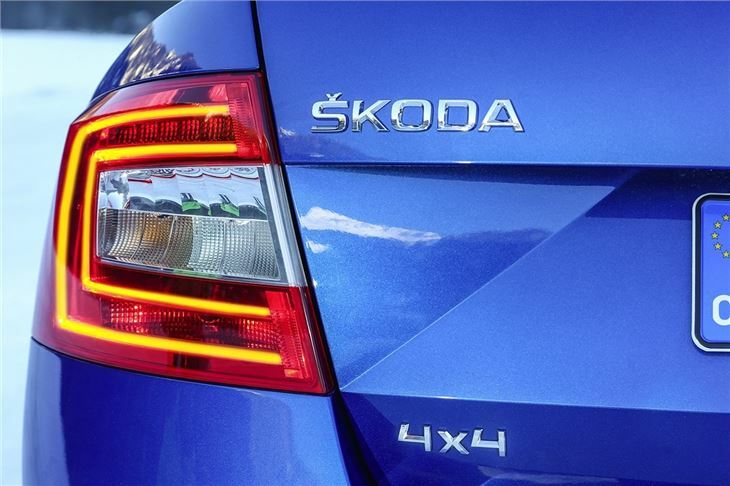 There are also typical Skoda touches like an integrated ice scraper in the fuel filler flap and a pair of bag hooks in the boot to stop shopping spilling out. 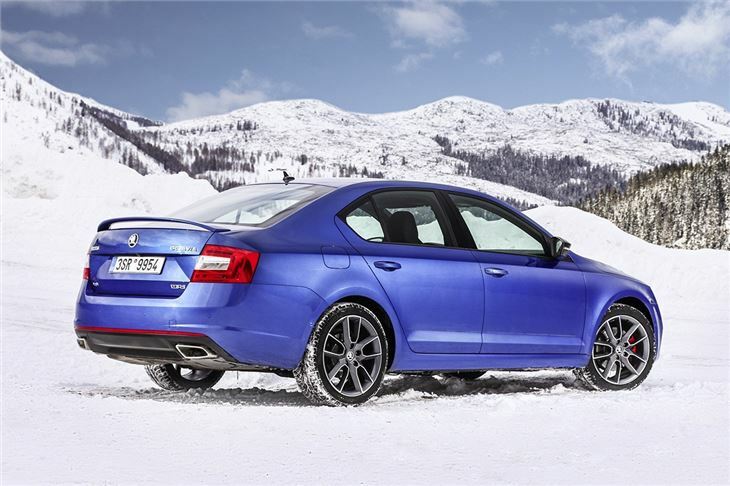 In usual Skoda style, the cabin is extremely well-finished. Material quality is excellent, with a mixture of solid, hardwearing materials lower down where they’re likely to be scuffed, or soft, plush materials higher up. 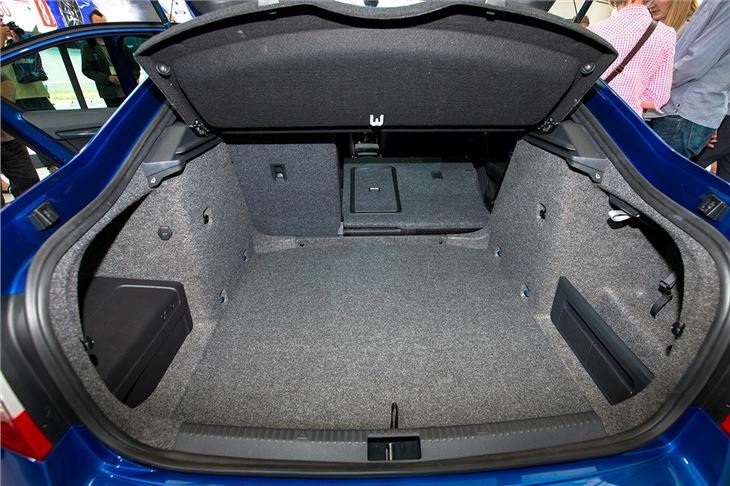 Storage is excellent, with large door pockets and plenty of useful cubby holes, along with a couple of USB sockets. Standard equipment includes a touchscreen, red upholstery stitching, climate control, cruise control, DAB radio, parking sensors and smartphone connectivity, so most owners won’t be left wanting. There are some options though including leather upholstery and safety gear like auto-dipping headlights. It's extremely hard to find anything to complain about. 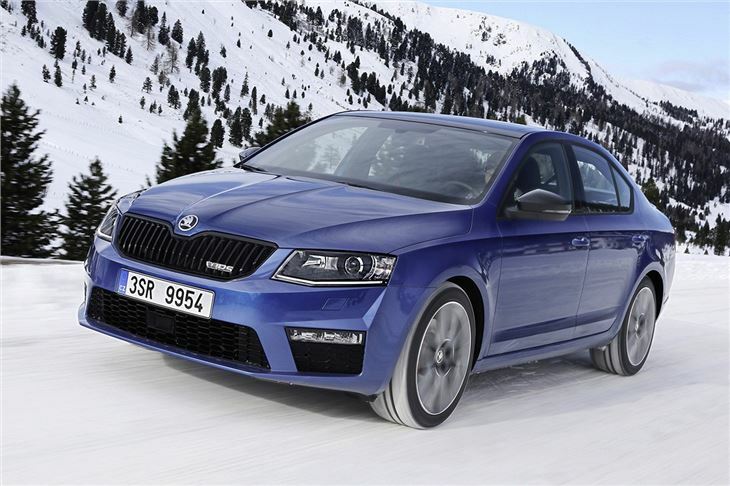 But everything that is great about the vRS 4x4 is just as good on other Octavia vRS variants – all but one of which are appreciably cheaper. 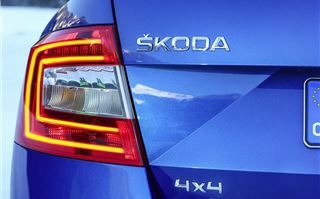 That’s the problem with the 4x4 version – it costs more and doesn't do enough to feel like good value. There is no manual option and DSG reliability has been patchy in the past, while the price tag is £2840 more than the front-wheel drive, manual equivalent. That is where our money would go. 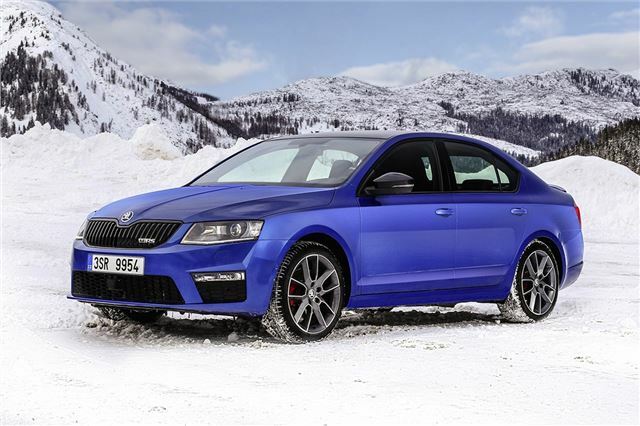 The Skoda Octavia vRS 4x4 is on sale now.